During the final weeks of the Weimar Republic, a young woman washes up in the Havel River in picture-perfect Old Spandau. Bodies in rivers are hardly news in the chaos of 1932 Berlin, maddened by years of war, defeat, revolution, inflation, depravity, and now the Great Depression. But this one is different. Her dark hair is too short. Her wisdom teeth have been removed, something few German girls could afford. And her legs, dotted with suture marks, are bizarrely deformed, as if someone had taken giant pliers and turned them around inside her skin. Willi Kraus is a decorated soldier and Germany’s most celebrated Jewish detective, thanks to his recent success at nabbing a monstrous child killer. Sent to investigate the floater, his search leads him into a German underworld he hardly recognizes. A princess goes missing, a hypnotist has dark secrets to hide, and a new power is ushering in the tides of change: the Third Reich. Detective Willi Kraus is the type of man anyone would want on his or her team. He is notorious for bringing to justice a serial killer. However, at the rise of the Third Reich he has two things against him. First is the fact he is a Jew. The second problem for him is his connection to those currently in power as Hitler is beginning to gain his. Both of these make him the enemy of the Nazis. When he is called to investigate the floating body of a once beautiful woman he realizes he has a monster to find. This killer has obviously done some experimenting on this young girls lower legs, and she is just the first. His hunt takes him into some scary places. Scary because he is dealing with the rise of the Nazis and he is a Jew. This is an on the edge of your seat read. I knew nothing about the Weimer era until a couple of months back. That was when I read my first book set in that time period. Grossman has opened our eyes as to how Hitler slowly began his slide into power. It was not a situation where he showed up with guns one day and blew away the Jews to get his point across. He was sneaky. The title of this book tells it all. Sleepwalkers, is a metaphor for the people of that time. They walked right into the Nazi trap as if they were sleepwalking. Of course, we know it was too late when they realized it. That was the other thing that made the books so wonderful. Since I entered this book with prior knowledge of that time, I was constantly holding my breath for the main character. Unfortunately, I could see parallels between what went down during the rise of the Nazis and the turn our government is taking. I am not saying we are headed the way of Hitler. What I am saying is I see Americans turning a blind eye to everything that happens in our country saying it is not their fight, let someone else handle it. That is exactly how Hitler came into power. Even though I know the outcome of that Hitler’s rise to power and the effect it had on Jews and others, I kept hoping that things would be different for Willi Kraus. It is inherent that we want the good guys to win and the bad guys to fail. History doesn’t follow those wants. This book is necessary read for the historical accuracy, and the edge of your seat mystery. I will definitely find myself reading more of this author’s work. 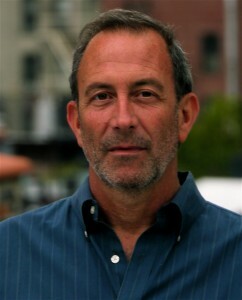 Paul Grossman is the critically acclaimed author of two novels, with a third on the way. 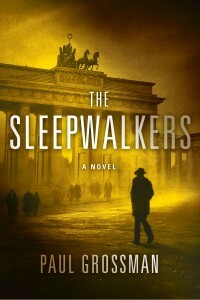 The Sleepwalkers, was published in 2010. His second, Children of Wrath released in February, 2012. He is also a long-time teacher of writing and literature at the City University of New York.